It’s only few weeks away and I am planning for that commercial holiday we call Valentine’s Day. Personally, one should always let that special someone know how wonderful you think they are year round, but Valentine’s Day can push one to go above and beyond. I'll let you in on what Jeff and I are doing this year for V-Day another time, but first I wanted to share what I had done this Christmas for Jeff, in hopes you can get your stuff together and possibly do it for your guy or gal for this February 14th. This Christmas we expected to be all about our new daughter Cora, but our plans didn't turn out that way. Jeff and I had always talked about making sure that as parents we wanted our relationship to be strong because that's the cornerstone of a family. I actually had planned to do this gift earlier this summer so even though our original plan A (Cora) didn't happen as expected, it didn’t mean we couldn't include it in the plan B. Being a strong couple is just as important even if Cora is not physically here with us. A year of dates isn't my original thought and I'm not going to claim it as my own. I've seen this idea quite a few times with different interpretations. I did however make it my own with dates that fit our lifestyle. To start, you need to draft your list of dates the recipient would actually want to go on; dates at home, dates in town, and dates that require a day out of town. I also didn't want to force us into having to do these dates on specific months so I left the timing totally up to us or the expiration date on the gift card. Blind wine tasting at home - No need for a designated driver. 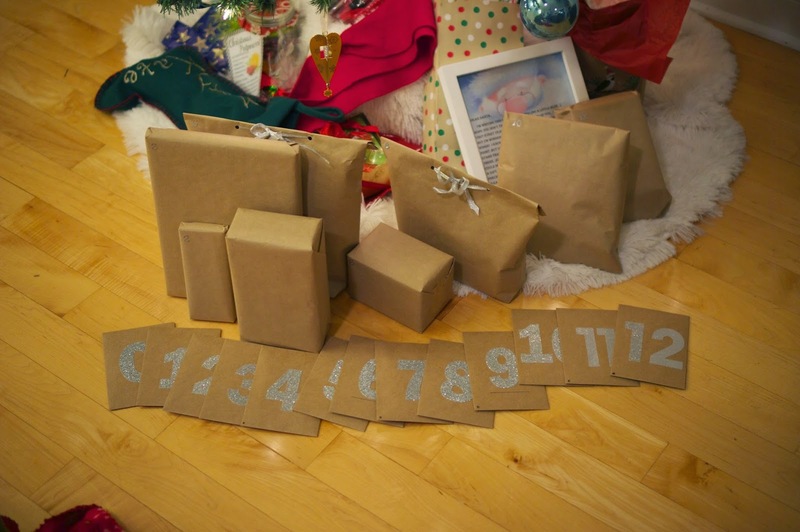 We have a wine tasting kit we used, but brown paper bags with numbers work just as well. I have been on a Zinfandel kick so we tried a few bottles. Jeff always likes the most expensive, but I actually chose similar to him this time. Mad Libs in Love - This was a fun little game to play as well. I remember doing this when I was younger and putting in all sorts of dirty words. Now as an adult, it wasn't as taboo. Spa massages - Massage Envy allows you to print right from their website. Dinner out at a nice restaurant - I used Groupon and got a great deal for a local restaurant we like. Husband and Wife Quizzes - I know what you are thinking…quizzes? Honestly Jeff and I laughed doing these quizzes on New Year’s eve. These are low stress and a good way to remember stories from when you first were together. Gift card to the local beer store - We frequent there for tastings and grab a beer after a long week. Personalized boxers - I made a pair a long time ago using iron on letters and realized that pair was not doing so well. A replacement was needed and no I will not tell you what they say. Scratch off World Globe - If you're world travelers, this is a really cool gift to get. Movie date gift card with a box of his favorite candy - We don't often go to see movies so I figured this would motivate us to see something on a larger screen. 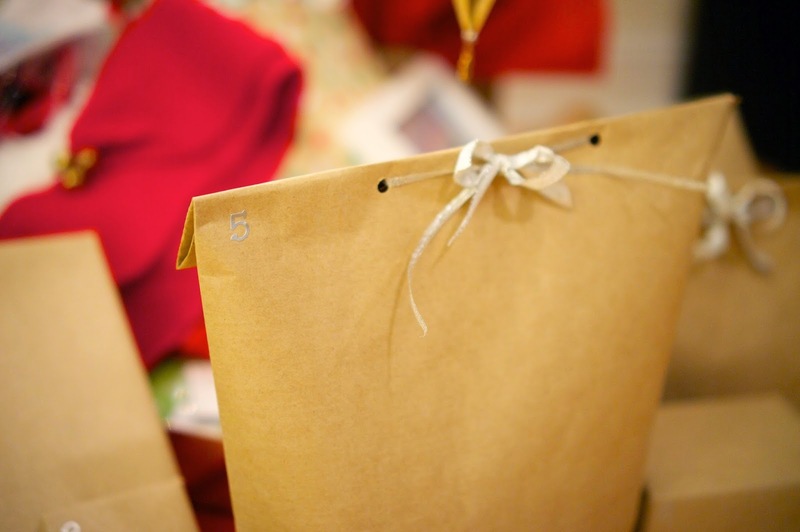 All the gifts were numbered in separate envelopes designating the order of opening. I wrote a personal message in each about the date and why it was chosen. The first envelope (#0) explained how this gift worked. 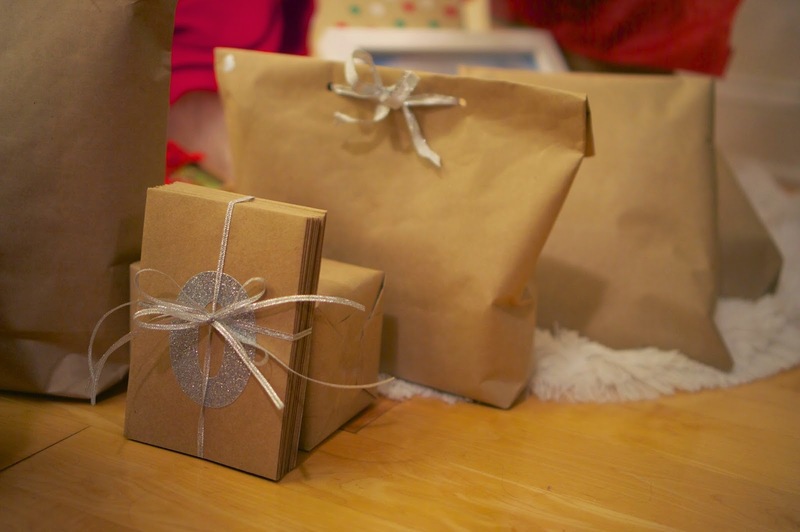 If any of the envelopes had corresponding presents, they were also marked with a little number to match the envelope. Gift #5 that went along with envelope #5. 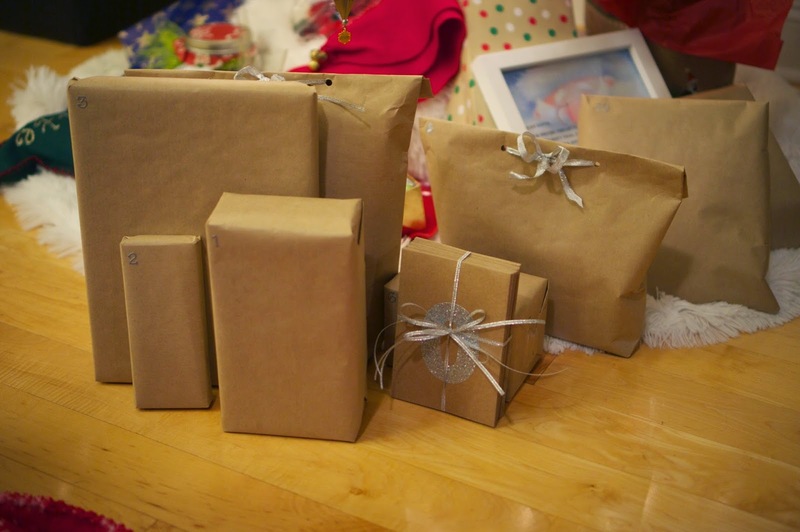 I decided to do brown butcher paper to wrap all the gifts and found envelopes with matching cards at Hobby Lobby. I learned to make gift bags for each oddly shaped present here. It is super easy! Overall, this gift took time and some imagination, but Jeff loved opening up each envelope and gift. Showing him that I put in effort and thought is what he likes the most. He told me that the anticipation and mystery was the most exciting. So what are you doing for your special someone this year? Maybe a year of dates might remind your special someone how much they mean to you.